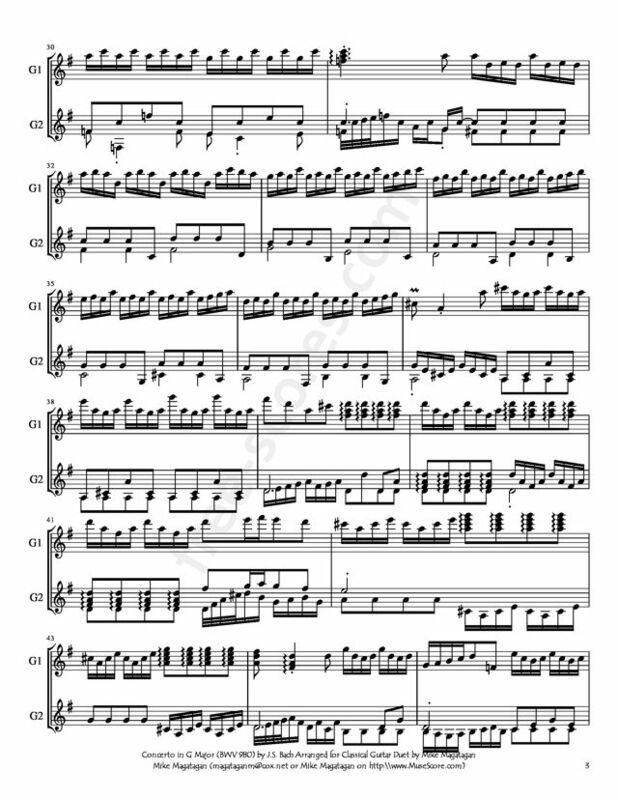 The Concerto for solo keyboard in G major No. 9 (BWV 980) is one of 16 solo adaptations of preexisting concertos that Johann Sebastian Bach completed in 1713-1714 and one of six from that collection based on concertos by the Italian master of the genre, Antonio Vivaldi. Bach undertook to transcribe these concertos during his time at Weimar and at the request of Prince Johann Ernst. 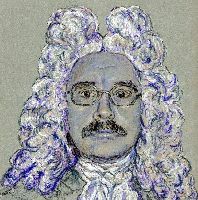 Ernst had recently returned from his university studies in Holland, where he had encountered printed editions of the works of Vivaldi (whose Op. 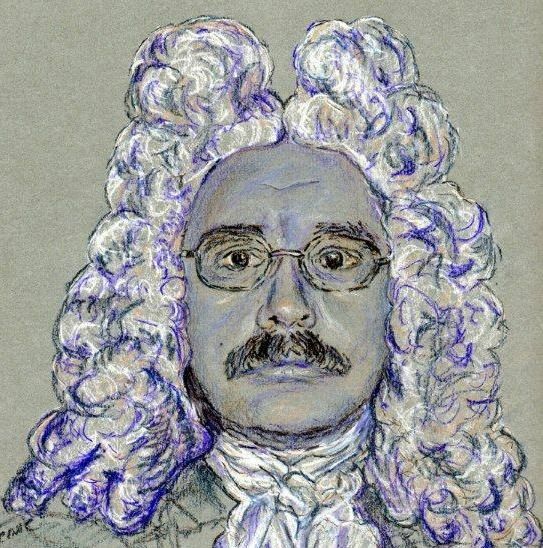 3 collection, L'estro armonico, was published in Amsterdam in 1711) and had heard, in the Nieuwe Kerk in Amsterdam, the organist Jan Jacob de Graaf performing his own organ realizations of Italian concertos. Bach adapted the Concerto No. 9 from Vivaldi's Violin Concerto in B flat major (RV 381), Op. 4/1. The original concerto appeared in the collection La stravaganza, which was published in Amsterdam, but not until 1716; thus, Ernst must have gone to the trouble of procuring a manuscript copy of Vivaldi's original (as he likewise would have done in the cases of Bach's concertos BWV 973 and 975, also based on Vivaldi pieces then unpublished). In fact, the version Bach used and the one that appeared later in La stravaganza differ somewhat in their musical content. The idiomatic nature of each of the concertos in the series (most of them originally for violin) raises its own set of issues when realized on the keyboard, and one might argue that the Solo Concerto No. 9 loses some of its energy in the translation. After all, the incessant arpeggiations on straightforward G major chord progressions that dominate the first movement might have more of an urgent, bodily quality to them when associated with the see-saw motions of the violin bow. On the other hand, the less physical keyboard gestures lend the texture a more hypnotic feel, setting in greater relief the moments in the movement's later tutti sections where the harmony veers off on unexpected detours. The same quality permeates the Largo second movement, with its long stretches of repeated figurations over Spartan harmonic progressions in B minor and its bare bass line ending. Figural repetition in the Allegro third movement is motoric rather than hypnotic, proceeding through a series of progressions and sequences along an uninterrupted stream of eighth note arpeggios, its harmonic contours underscored by tumbling scalar runs. 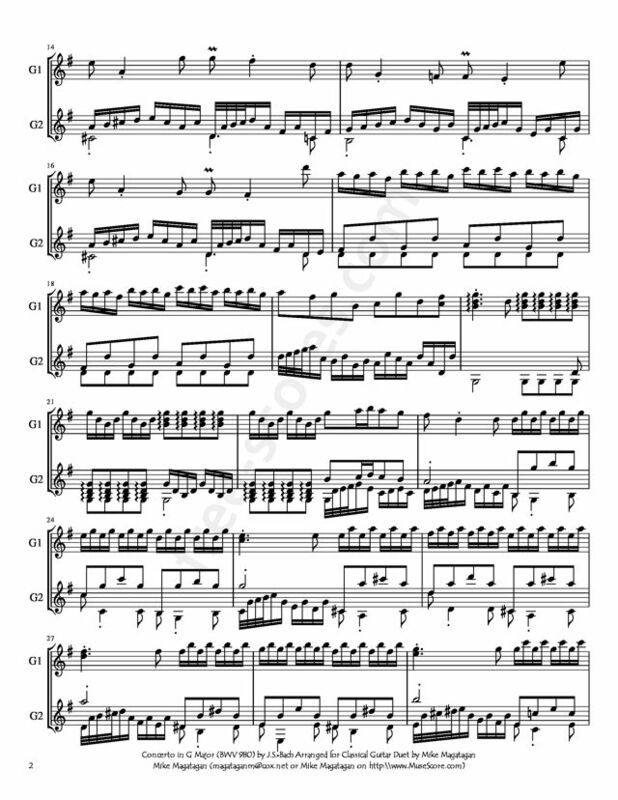 Source: AllMusic (http://www.allmusic.com/composition/concerto-for-solo- keyboard-no-9-in-g-major-after-vivaldi-op-4-1-rv-381-bw v-980-bc-l192-mc0002379537). Although originally written for Harpsichord. 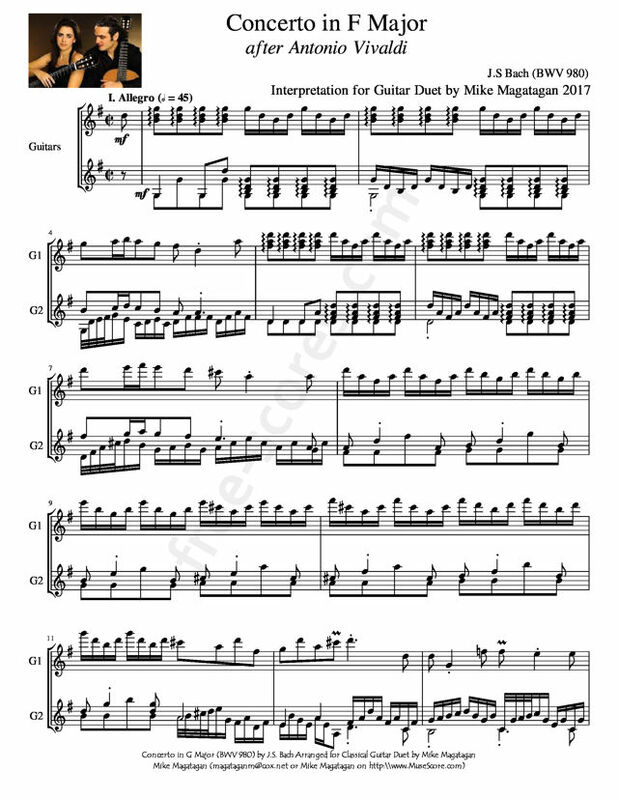 I created this Arrangement of the Concerto in G Major (BWV 980) for Classical Guitar Duet.